“….This article and others did not come as a surprise to me but came rather as validation. I was personally trampled over by Lord and the most senior of GSK corporate executives then tossed aside in a heap. While the matters I raised were unrelated to financial misconduct, they were in many ways as serious if not more serious. I don’t know if these allegations (which the individual here has drawn attention to) will ever see the public light of day, as many GSK crimes often get hushed up quite quickly, nullified, or swept under the carpet. From the experiences of the whistle-blowers I have had contact with over the years (and there have been several), it seems that GSK is mainly concerned with undermining, containing, or squashing whistle-blowers (and their allegations of unethical behavior) as opposed to supporting them..
“...One of the clear lessons from the GSK matter is that serious allegations of bribery and corruption require a serious corporate response. Not, as GSK did in their best Inspector Clouseau imitation, failing to find the nose on their face. I was particularly focused on GSK’s response to at least two separate reports from an anonymous whistleblower (brilliantly monikered as GSK Whistleblower of allegations of bribery and corruption going on in the company’s China business unit. Worthy of note also is a recent comment by (presumably) Greg Thorpe (the first whistle-blower to file against GSK which resulted in a 3 billion dollar fine in 2012). Model of kickbacks, fraud and off label marketing may slow down here in the US, but they would be doing the same overseas. If we only knew everything they did in the various countries in totality….it would be a real story. So YEAH Brits., let’s Knight Andrew Witty, killer sociopath, involved in the US corruption also and hidden by the DOJ. Anyone want the story, beginning in 2001 ? Nobody would believe it…my phone and computer were tapped, I was treated like a second class citizen, or criminal by the DOJ in the Holder regime…as a whistlblower. GlaxoSmithKline is gearing up to begin a formal search for its next chief executive as Sir Andrew Witty’s eight-year tenure enters its final stages. Sir Philip Hampton, chairman, has already consulted large shareholders about the succession on an informal basis, according to people involved in the discussions, and it is understood that a more intensive process will take place in coming months. Sir Andrew, one of the longest-serving chief executives among FTSE 100 companies, is not expected to depart before 2017 and he will be involved in the search for his successor. The lengthy timetable shows how Sir Philip, who was elected chairman last year, has resisted pressure from some shareholders for a more immediate change of leadership in favour of an orderly transition. Sir Andrew’s job has often looked in peril over the past three years as a sharp downturn in GSK’s sales and profits coincided with a damaging corruption scandal in China. However, the outlook has improved in recent months, with earnings forecast to grow by a double-digit percentage this year. GSK is the only large European pharma group whose shares have risen in 2016 to date, although they remain down from three years ago. Egon Zehnder, the blue-chip headhunter which already works on a retainer for GSK, will advise on the search. GSK has declined to comment. Internal candidates are likely to include Abbas Hussain, head of the mainstay pharmaceuticals business, and Emma Walmsley, who runs the consumer healthcare unit, which is responsible for brands such as Aquafresh toothpaste and Panadol painkillers. Others likely to be considered include Simon Dingemans, chief financial officer and a former Goldman Sachs banker, and Roger Connor, head of global manufacturing and supply chains. However, some investors want GSK to look at external candidates after the poor shareholder returns of recent years. These could include people such as David Epstein, head of pharmaceuticals at Novartis. The process is expected to be more low-key than the race to succeed Jean-Pierre Garnier in 2007, when Sir Andrew was pitted against two other internal rivals, Chris Viehbacher and David Stout, in a high-profile contest. Sir Andrew, who joined GSK as a trainee in 1985, will be hoping that a return to growth this year — fuelled by strong performance by the group’s HIV drugs unit — will allow him to depart with his reputation repaired from recent setbacks. The looming change of leadership will again raise questions over the future shape of GSK as some shareholders, led by Neil Woodford, the UK fund manager, push for a break-up of its medicines-to-mouthwash business model. Sir Andrew has argued that this diversified structure is the best way to deliver steady growth and hedge against the risks of drug development. But Mr Woodford believes a more focused approach would deliver higher returns. I was alerted recently (by an anonymous ‘Ex-GSKer’ – see comment above) to a very interesting thesis on GSK’s corruption debacle in China. I would just like to thank the ‘Ex GSKer’ for this, and for commenting and engaging with the information on this blog. Thanks, it’s very much valued, please comment again as you please. Who Is GSK’s Jason Lord And What Does He Do? A few months back, myself and Bob Fiddaman (of the Fiddaman Seroxat blog) collaborated on an investigative blog post called ‘The GSK 3″ about the UK Serious Fraud Office’s investigation into GSK’s alleged fraudulent activities around the globe. One name that came up in that investigation was Jason Lord. He is one of the GSK 3. So, who are the three? Research shows that Lord was, in 2006, GlaxoSmithKline (GSK) Security Adviser in the Corporate Security and Investigations Department. For those that don’t know, Jordan is another country currently under investigation. The claims are that GSK staff in Jordan have bribed doctors. The allegations relating to Jordan and also Lebanon were first reported in the Wall Street Journal, which cited emails from a person who first contacted GSK in December. The paper said the emails allege that GSK sales representatives bribed doctors to prescribe drugs and vaccines by issuing free samples to doctors that they were allowed to sell on. Not much else is known about Jason Lord. Jason Lord is the current Global Head of Investigations for GlaxoSmithKline who most likely led the initial four month internal investigation of corruption within the China business unit which found no evidence of wrongdoing. I’m 23 and I live in London. I started taking Seroxat nearly 5 years ago. It was originally prescribed to me to stop me having panic attacks. I wanted to come off it for quite a few years but when I stopped taking it, I was so ill that I had to start taking it again. Doctors kept telling me it was impossible to be addicted to them, so I didn’t know what was wrong and I carried on taking them. I suppose it’s not the doctors’ fault, it’s the drug company I blame because they don’t acknowledge that there’s a problem. I wouldn’t have started taking Seroxat if I’d known. It’s taken me nine months to wean myself off it completely and that’s been pretty much nine months of feeling ill for the majority of the time. It’s been far worse than anything that I had before I went on the tablets. I basically had to draw up a withdrawal programme with my current GP, who’s been great. I was on two 20 milligram tablets a day. At the start of the year, I cut down one day a week to half a tablet. So, on Monday, I’d have half a tablet, then one tablet each day for the rest of the week. I’d do that for two weeks. Then it would be Monday and Tuesday on half a tablet and I went on like that until I got to the stage where I was on half a tablet every day. But even those small reductions in dose were making me feel bad. So, I switched to a liquid version of the drug in August. You squirt it into your mouth with a syringe, which tastes pretty bad. But at least it made it easier for me to cut back the dose. I’ve done an awful lot of research on the internet and I’m certainly not the only one having problems. There are lots of chat rooms and message boards and probably 80% of comments about Seroxat are about the problems people are having when they’re coming off it. It’s not totally one-sided. Some people have said they haven’t had any problems. A lot of people acknowledge that the drug has been quite helpful to them and it’s reduced their depression or their anxiety.But I feel Seroxat has stolen years from my life. I’ve felt more like an 80 year old than a woman in her ‘twenties’ recently. I’ve had nausea virtually every day and insomnia every night since I started cutting down my dose. Other withdrawal symptoms I’ve suffered are headaches, muscle pains, trembling, like having permanent flu really. The worst thing, though, is the head shocks. They’re like electric shocks zapping through my head that really throw me off balance. The withdrawals have had a pretty serious impact on the rest of my life. I should be going into my final year studying for a Masters degree. But I’ve taken so much time off for illness in the last nine months that they’ve told me I’ll have to take a year out and finish it next year. I’m already in lots of debt and I’m not sure whether I can afford to do that, so I’m very angry.I took my last dose of Seroxat at the end of August. I flushed all the remaining tablets and liquid I had down the loo. Although I’ve been feeling rough since then I’m determined not to start taking it again. I hope I can start living a normal life now. I’m glad I kept the video diary of my withdrawals for Panorama. Not because I feel proud that I’m on television and people are going to see what is going on with me, because I don’t really want that. But I think I have a responsibility to make sure that people can see that you can’t always believe everything you’re told by doctors or drug companies. GlaxoSmithKline strenuously denies claims of serious side effects and insist that the drugs are a safe, effective treatment. Read the following article for more.. Putting Kanye’s Twitter “rants” in the context of pharmacology. When I first heard Kanye talk about going off his Lexapro in “FML,” a shiver ran through me. No person who takes a drug prescribed for mental illness is prepared to be betrayed by the drug if they stop taking it. One is prepared only to go back to the earlier, unmedicated state, not to go to a deeper, darker state worse than the initial one that made them seek the medication. I would probably not have gone on Paxil in the first place if I’d known what happens when you stop taking it. But I was 17, I’d been struggling with anxiety my whole life, and I trusted the doctors who told me it was going to help. I’d lived through the ’90s and read Prozac Nation, but I wasn’t worried about the rumored personality-dulling effects of antidepressants. I just wanted to be able to take elevators without having panic attacks. I didn’t think to obsess over potential side effects, because almost every prescribed drug has a long list of terrifying side effects. But I did think it was bizarre that none of the prescribing doctors could explain exactly how the Selective Serotonin Reuptake Inhibitors (SSRIs) worked. The terminology they used was so vague: Your brain makes the happiness neurotransmitter serotonin, and in a person who is depressed or anxious the serotonin gets absorbed back into the brain (where?) too quickly. SSRIs ostensibly slow down the reabsorption process. It was described to me in a way that implied it was too complicated to explain, which also sounds suspiciously like someone who doesn’t fully understand what they’re talking about. Sure, I didn’t really know how the chemicals in my brain worked. What was I, a brain scientist? But it worried me that these brain scientists also didn’t seem to know. I just figured that SSRIs were like sufficiently advanced technology, indistinguishable from magic. They didn’t say what kind of magic. At first, the drugs worked great. I was calmer, less depressed, and I no longer felt sick to my stomach all the time. As a freshman in college I was the happiest I’d ever been, living the kind of life I would not have considered possible for myself before I got on the drugs. Maybe it wasn’t just the drugs; I was living away from home and making cool new friends — of course I was happy. But I credited the Paxil at the time. I felt invincible. And in that flush of invincibility, I decided to stop taking the Paxil. I took it sometimes, just not all the time, because I was out late or I forgot or I was just testing whether the drug had really been the thing that was doing the work. This was a mistake. That summer I was back from college, living at home with my parents, when the withdrawal really set in. I experienced the phenomenon known as “brain zaps,” which feels something like it sounds — like a chill down the spine but in the brain. I felt crazier than I had ever felt in my life, alternating between feeling terrified of leaving the house and leaving the house and then feeling terrified to be there. I felt scared to be alive, all the time, and lucidly aware of how mentally imbalanced I felt. I self-medicated mostly with bong hits and tried to get back on the Paxil, but it no longer worked. When I told the doctors about the side effects I was experiencing, they essentially told me I was not experiencing anything like that, and I felt like I was dealing with the gaslighting “in on it” doctor from Rosemary’s Baby. I had thought about it last year, when an article came out in the New York Times with the headline “Antidepressant Paxil Is Unsafe for Teenagers, Analysis Says.” A quote stuck out: “Over the years, thousands of people taking or withdrawing from Paxil or other psychiatric drugs have committed violent acts, including suicide, experts said.” Duh, I thought as I read through the article stating that the multiple studies assuring prescribing doctors the drug was safe for teenagers had been funded by the makers of Paxil. I went on a different SSRI and felt better, but never as good as I first felt on Paxil. I mostly tried not to think about this entire episode in my life because thinking about it made me feel embarrassed. A federal judge has again declined to throw out a lawsuit accusing the maker of the anti-depressant Paxil of liability in the suicide of a Chicago lawyer who took a generic version of the drug. In a written opinion last week, U.S. District Judge James B. Zagel rejected the argument that the negligence claims brought under Illinois law by Stewart Dolin’s wife are pre-empted by federal law. Wendy Dolin filed the suit in Cook County Circuit Court, and GlaxoSmithKline (GSK) removed it to federal court under diversity jurisdiction. The suit maintains the labels on Paxil and its generic version are false and misleading because they failed to warn of an increased risk of suicide in adults over the age of 24. In a motion for summary judgment, GSK argued such a warning is pre-empted by the Federal Food, Drug and Cosmetic Act. Zagel didn’t see it that way. A failure-to-warn claim is preempted by federal law, he wrote, citing Wyeth v. Levine, 555 U.S. 555 (2009), only if there is “clear evidence” the U.S. Food and Drug Administration would not have approved the warning the plaintiff alleges is required by state law. GSK presented no such evidence, Zagel wrote. In 2007, he wrote, the FDA invited GSK to discuss the option of keeping language on Paxil’s label warning of the possibility of an increased risk of suicide or suicidal thoughts in adults. GSK didn’t take the FDA up on that invitation, Zagel wrote. GSK, he wrote, did not ask for a formal meeting with the FDA and did not ask to include additional language on the label concerning Paxil’s possible effect on adults. Under those circumstances, GSK failed to meet the “demanding burden” of showing it would have been futile to seek permission from the FDA to add an adult suicide warning on Paxil’s label, Zagel held. Wendy Dolin is represented by attorneys who include R. Brent Wisner of Baum, Hedlund, Aristei & Goldman P.C. in Los Angeles. The lead attorney for GSK is Alan S. Gilbert of Dentons U.S. LLP. Neither attorney could be reached for comment. In 2010, Stewart Dolin killed himself by leaping in front of a Chicago Transit Authority train at the Blue Line station at Washington and Dearborn streets in the Loop. Dolin, 57, was a partner in Reed, Smith LLP. He had started taking a generic version of Paxil, the brand-name version of paroxetine hydrochloride, six days before he committed suicide. In addition to alleging the warning on the paroxentine label was inadequate, Wendy Dolin contends GSK concealed and manipulated data concerning the drug. GSK wanted to obscure the fact that paroxetine carries a 6.7 times higher risk of suicide in adults who take the drug compared to those who take a placebo, Dolin contends. In 2014, Zagel dismissed all claims against Mylan Inc., which made the paroxetine taken by Dolin. 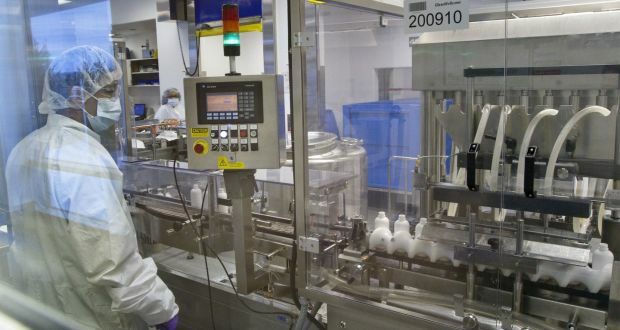 But he held GSK must face claims under Illinois law of common-law negligence, negligent misrepresentation and product liability based on a negligence theory. In the 2014 opinion, Zagel conceded GSK did not manufacture the paroxetine taken by Dolin. But the federal Hatch-Waxman Act requires that a generic drug’s design and warning label must match those of the name-brand drug, Zagel wrote. Therefore, he held, the brand-name maker must in some circumstances face claims based on the warnings on the generic version’s label. In last week’s opinion, Zagel declined to reverse his 2014 ruling. Noting that GSK and Wendy Dolin plan to call expert witnesses to the stand during the trial, Zagel also declined to hold that the Paxil’s label is adequate as a matter of law. And Zagel rejected arguments that the doctor who prescribed Paxil for Stewart Dolin knew of the drug’s risk and, therefore, GSK could not be liable in Dolin’s suicide. The doctor’s testimony suggests he didn’t know of the increased risk of suicide in adults over 24, Zagel wrote, and he relied on the 2010 Paxil label before prescribing the drug. The suit is to go to trial on Sept. 19. Zagel issued the opinion Thursday in Wendy B. Dolin v. SmithKline Beecham Corp., No. 12 C 6403. Former GSK Paxil (Seroxat) CR Drug Rep On Doctors Prescribing Paxil To Kids Says:”We would not encourage them not to” (Prescribe Off Label). However, I don’t go along with his comment that ‘regardless of studies” (such as study 329) that it was really just left to doctors to decide. Study 329 was touted and would have been fairly influential. It was aimed directly at doctors, therefore it cannot be dismissed..
Drug giant GlaxoSmithKline (GSK) and a number of generic pharmaceuticals firms have been fined €45 million for anti-competitive practices. The fine was handed down by the Competition and Markets Authority (CMA) which said Glaxo made more than €50 million of payments to companies making cheaper generic versions of its anti-depressant Seroxat to delay them coming to market. GSK has been fined €37.6 million and the generic firms have to pay €7.4 million, for conduct and agreements between 2001 and 2004. Seroxat is Glaxo’s branded paroxetine anti-depressant treatment. The two main generics firms fined are Generics UK and Alpharma. The CMA said the “pay-for-delay agreements” Glaxo struck with the generic firms “potentially deprived the National Health Service (NHS) of the significant price falls that generally result from generic competition”. But Glaxo disagrees with the CMA ruling, saying its agreements with the generic firms allowed them to enter the market early, saving the NHS €15 million over two years from 2002. The drug giant said: “GSK disagrees with the ruling by the UK CMA. “GSK and the generics companies entered into these agreements at the time in order to settle costly, complex and uncertain patent disputes. “The agreements allowed the generics companies to enter the market early with a paroxetine product and ultimately enabled a saving of over €15 million to the NHS. However, the CMA said when independent generic drugs eventually entered this market at the end of 2003, average paroxetine prices dropped by over 70 per cent over two years. The watchdog added that in the UK 4.2 million prescriptions were issued for Seroxat in 2000, and Seroxat sales topped €90 million the following year. Michael Grenfell, the CMA’s executive director for enforcement, said: “Today’s decision sends out a strong message that we will tackle illegal behaviour that is designed to stifle competition at the expense of customers — in this case, the NHS and, ultimately, taxpayers. “This investigation shows our determination to take enforcement action against illegal anti-competitive practices in sectors big and small. A GSK Whistleblower Contacted Me Alleging Kickbacks And Corruption In Yemen- Are There Any Journalists Interested In This Story?.. If So… Contact Me.. I have received some interesting documents and e-mails, over the past week, from an alleged whistle-blower alleging various unethical shenanigans (allegedly) conducted by employees from GSK in Yemen..